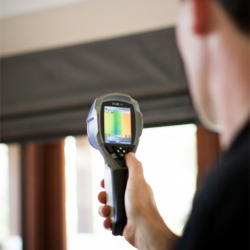 Why use a Building inspector to help you maintain your property? So you go to the dentist once or twice a year to get the pearly whites checked and you have the car serviced regularly too. But the house… “Nah. It can wait, sure it’s my biggest asset but I know what I’m doing”. Wake up people, over the years your property is deteriorating and it needs to be maintained. Sticking your head in the sand does not keep your property in peak condition. 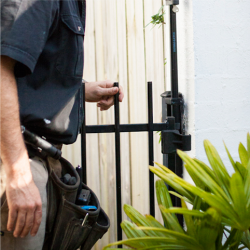 If you have a house, unit, townhouse, or commercial property, a periodic professional building inspection is a good way to keep informed about maintenance needed on the property. Master Builders QLD to showcase inndox! BuildingPro wins State Award for Excellence 2018! Australians love outdoor living and entertainment areas, but they can be costly to maintain. When made of timber and exposed to the weather, outdoor structures are high maintenance. To add to this, a poorly maintained structure is a safety hazard. 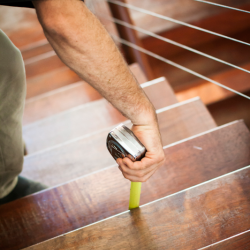 Some timber floors need to be coated in oil or water-based acrylic paint every year. 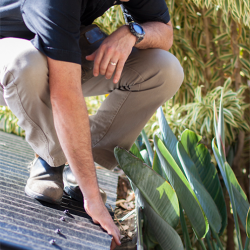 Start by inspecting decking and framing timbers for any signs of fungal decay (rot). 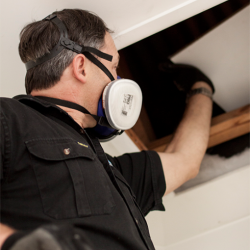 Decay is usually at the edges of the structure and at the tops of joists where they are more exposed to the weather. Unroofed timber structures deteriorate at a much faster rate as they are exposed directly to the weather. Decayed sections weaken the timber and can cause it to collapse. This is a potential safety hazard and decaying timber should be promptly replaced. When you walk on the floor of the deck or balcony it should not have excessive spring. If the floor is bouncy then the timbers may be undersized. With Christmas only weeks away and the end of year just around the corner, we would like to take this opportunity to thank all our valued customers for another amazing year and provide a quick update before the silly season takes hold!